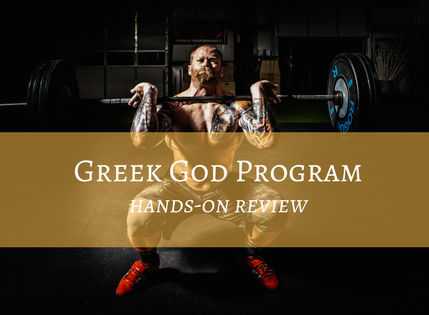 In a few paragraphs, I’m going to dive in to my review of the Kinobody Greek God Program, why I decided to give it a try, and whether or not it worked for me. But first, here’s a quick overview of why you’re really here! What is the Greek God Program? The Greek God Program is a lean bulking weightlifting and nutritional program created by Greg O’Gallagher of Kinobody. The program aims to, surprise!, give you the body of a ‘Greek God,’ or in other words, what a lot of male Hollywood actors look like for action movie roles. Greg knows his stuff, and his programs are well designed. The progression system works well as you continue to build strength, and the nutrition plan is right on point for gaining muscle while minimizing fat gain. I’ll get into my own experiences with the program below. But you can also check out a lot of great Greek God transformation on the Kinobody Instagram page. If you can make it to the gym 3 days per week for about an hour each time, you can do this program. Consistency is hard, but that’s really not that big of a commitment. 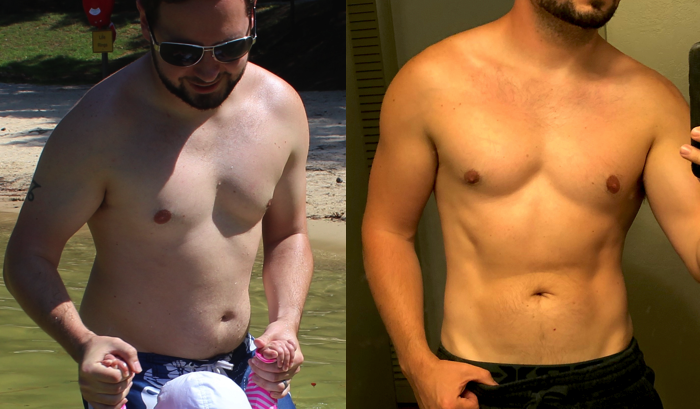 Greg’s approach to lean bulking is also pretty easy to follow. This isn’t the kind of program where you’ll be eating 6 meals a day and hitting 5,000 calories. He teaches you how to eat just slightly above your maintenance calories for a finely tuned lean bulk. Is the Greek God Program a good value? The program costs $69, but you get a lot for your money here. Not only do you get the workout program, along with video instructionals, and the nutrition plan; Greg also includes several add-ons to the program to help you take things to the next level. If you’re convinced, click here to join the program and hit the road to being jacked. Now, really quickly, a little on my lifting background & how I’m approaching this review. I started lifting almost exactly a year ago. Having absolutely no idea what to do and being intimidated by the idea of wandering around in the free weights section of the gym, I turned to a very simplistic variation of a 5×5 program. I stuck to the basic compound movements, doing only 5 reps at a time, and progressed linearly for a while. And while I was definitely getting stronger, I didn’t feel like I looked that different, and I had no idea what to eat or not eat. In the spring of 2017, after following Kinobody on YouTube for a couple of months, I started the Kinobody Warrior Shredding Program in an effort to cut down for the summer. Following that program, I lost 15 pounds of almost pure fat, and was even able to gain some strength on the key lifts. I got down to a very svelt and toned 130 lbs by the end of the summer. The Warrior Shredding Program is a solid program! But you can’t keep losing weight forever without sacrificing muscle and strength. With the fall coming around, it was time to start eating more and gaining some muscle. And the Greek God Program sounded right up my alley after being very pleased following the Warrior Shredding Program. Buckle up, because there’s a lot involved in the Greek God Program. First, you’ll get an intro video where Greg welcomes you to the program and lays out what lies ahead. You’ll also get access to a private members forum for help and support. Next up is some reading about the philosophy behind the program. How he designed it, why, and how it’s different from most bulking programs. From there, Greg dives into some exciting ways to amp up the Greek God Program if you get stuck or are looking to take things to the next level, including: specialization routines (to really maximize one specific muscle group) and what he calls MEGA training, or pump training, where he helps you incorporate higher volume to pump those muscles up! Finally, the program wraps up with the Greek God program diet, where you’ll learn how to calculate the appropriate amount of calories for a true lean bulk (minimizing fat gain!) and how to set your macros. There are actually a few different options here so you can try what works for you. Ready to join the program? Find out more and read real-world testimonials. The Kinobody Greek God Program is hosted on Teachable, a pretty popular online learning site. That makes browsing through the program information pretty enjoyable and makes it easy to jump around between sections. It’s nice presentation wise, though I did find Teacheable to be a tad glitchy here and there. I’ve been on the Greek God Program for about two months now, and I have to say it’s going GREAT. I tend to take a very loose approach with the nutrition. I eyeball the calories according to the Greek God nutrition plan, make sure to keep protein high, and make sure I’m not skimping on carbs and fat. And the approach has served me pretty well. As soon as I started the lean bulking program, I noticed an extremely rapid gain of about 3-4 pounds. Greg says this is to be expected as it’s mostly water weight and fullness from the additional food. In total, over just a little more than 4 months, I added about 14 pounds of scale weight, which should equate to about 9ish pounds of muscle. My strength on most of the key lifts has gone up around 20-25 pounds or so, and my accessory lifts in particular have FLOWN up. Here’s roughly my one year progress on Kinobody. I’ll update this space as I continue to progress and as soon as the progress becomes visible. 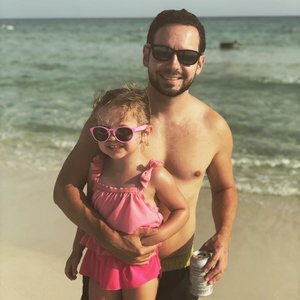 You can also follow me over on Instagram to stay up to date. Ready to become a Greek God? Read more and find out about the 100% money-back guarantee. A lot of content: This program is meant to last you a while. You’ll make great gains following the standard program, but then it gives you lots of options to bust plateaus, swap exercises, focus on a lagging body part, etc. You won’t get bored of this any time soon, making it a great value. Reverse Pyramid Training works: Follow the program. Don’t try to go too fast and be a hero. Add weight the way Greg suggests and you’ll make steady, solid progress. Aesthetics! The guy knows how to build a great physique. If you’re into competitive powerlifting or overall strength and power, this isn’t the program for you. But if you want an athletic and well proportioned body that’s also very strong, and staying lean matters to you, definitely check this out. No ‘big 3’: I only put this as a con because some people care about this stuff. But in this program there’s really no sign of the big 3: squat, deadlift, bench press. You may do sumo deadlifts, and you’ll do incline bench press, but there’s no emphasis on competition lifts here. Just so you know. I highly recommend the Kinobody Greek God Program. There’s a TON of content here and a lot of training guidance to help you take your physique from ‘meh’ to seriously impressive. The progression system works, the nutritional advice will help you get steadily stronger without adding a ton of fat, and the specialization routines will give you a great chance to focus on a ‘wow’ muscle group when you’re ready for that. Click here to take the Kinobody Physique Builder Quiz (opens in a new tab), then enter your gender and age. Kinobody Belt Review: The best belt for weighted dips and pull ups?